Like you see, Pokemon Orb post includes parts: Description (Story/Plot included in this part), Screenshots, Images, How to download. If some trailers are not available, we will add later. 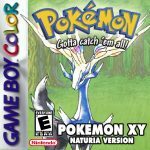 A Pokemon ROM/Game hack by hacker using Pokemon Gold Codebase/Engine in English. It is available to download now. The last update happened on January 24, 2018. Pokemon Orb : It is 2017 now, right. And the Pokemon spirit inside all of us is still available. It seems that this spirit is going to expand more and more today, tomorrow and in the farther future. And now we are going to play a new hack of 2017: Pokemon Orb. This game is a remake, a hacked version of the famous Pokemon Gold. Ash is the name of a boy who lived in Pallet Town in 1999 and he wanted to be a Pokemon Master at that time. Of course with all of his strength and mind… Ash was successful. After that, in the year of 2000… we had a new Champion of the New Bark Town: a boy called Ace. In comparison with Ash, Ace was a worthy opponent. They had many fierce battles with each other. Will this story end here? Not yet, because you – our player – is the next Pokemon Champion. You are Graven, a boy who lived in Treehome Town of Fornes Region. This new region is located to the west of Kanto. A new evil organization called Vice Team has taken the whole Fornes Region and they made this place become their new headquarter. You have to save your hometown, your own place. You don’t have to use the bicycle. Instead, NRG-500 is your vehicle. All the Gym Leaders are new and adjusted. Many new events are waiting.